ECD is recognized worldwide for its leadership and expertise in thermal monitoring and analysis technology. 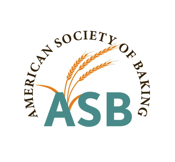 Based in Milwaukie, Oregon, the company is a pioneer in the design, development, and manufacturing of advanced thermal profiling systems and software used to monitor and analyze baking and food processing temperatures. Ice machines to produce Tube, Cracked or Fragmented Ice in capacities ranging from 1 ton per day to 125 tons per day, using 404a, 513a, or ammonia refrigerants. Ice storage products, ice bins, dispensers, carts and ice transport systems. Pan American Equipment is now and authorized distributor of Mueller Refrigeration Products, including Chillers, Condensing Units, Heat Exchangers and Heat Recovery Systems.